Browsing for a trusted business cleaning service provider? Then Better Cleaning Company is the type of local trusted commercial cleaning company you need. 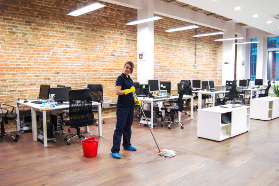 Our office cleaners always offer top quality cleaning to all kinds of companies in the region. For a fast and totally free price offer simply call 020 3746 3201 or send an online query here. Our customer support staff will answer anytime of the day. Our company will give you a unique offer all for your requirements. If you order several services, you will receive a special offer. We are the recognised company in South Harrow HA2 and our skilled team are going to clean all kinds of furniture and carpet. Our reliable cleaning company is tailor-made in deep retail and restaurant cleaning, in agreement to all health and safety procedures. We have years of experience in cleaning of local eateries, shops, malls, supermarkets, department stores and public buildings. We can provide you with same day emergency cleaning , or can come on any day of the year, after work hrs, not to interrupt your employees and customers. Use our 24/7 customer care line 020 3746 3201 or our online booking form to order a perfect office cleaning South Harrow HA2 services. We offer a reliable and insured, cost-efficient cleaning, as well as favorable regular cleaning contracts to all local organisations. Our 365 day accessibility along with no additional cost is another advantage. Be sure that your business property is attractive, healthy and sanitary by choosing our highly praised business cleaning services now!